This option is for advanced users only and is not recommended. 1) In order to install our full page style to your 3dcart store, you need to access your site via FTP to add an alternate frame file. See these instructions from 3dcart. 2) You will need to copy the code for the full page from ViralSweep and create a new frame file using the code we provide. Upload that file via FTP to your 3dcart site. 3) Create a new page in 3dcart and under Frame Template choose the template file you just created and uploaded to your site via FTP. 1) In your 3dcart store, go to Content > Site Content. 2) On the right side click the +ADD button in the Extra Page section. Add a new page and name it sweepstakes, or whatever you would like. 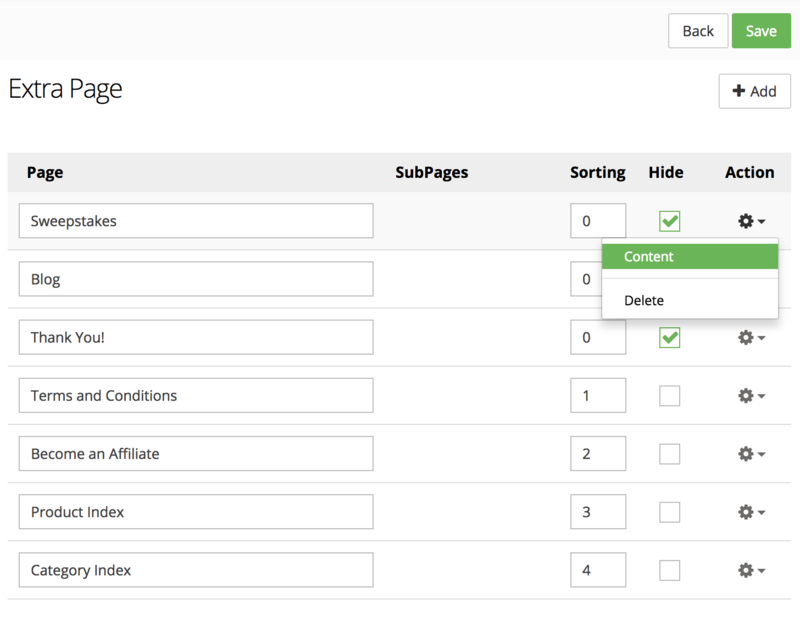 3) Once the page has been added, click the gear icon and select content to edit the page. 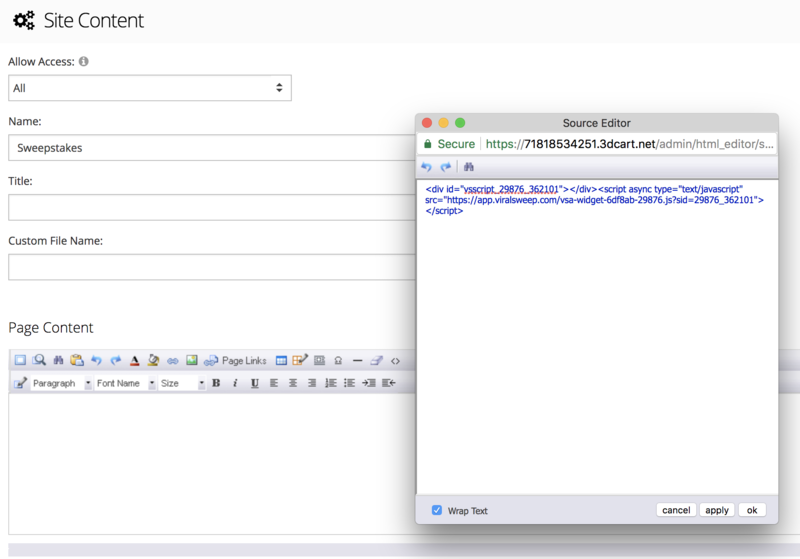 4) Scroll down to the content editor, and click the <> button to bring up the source editor. Go to your ViralSweep campaign, click install, grab the code for the widget, and then paste it into the source editor. 5) Save the page and preview it, and you should see the widget on the page. If you want to center the widget on your page just add <center> at the beginning of the code, and </center> at the end of the code. 1) To add the lightbox to the homepage of your 3dcart store go to Content > Titles & Content. 2) Under Main Pages find Home Page and go to edit. 3) In the editor labeled Header click the <> icon and paste in the code for the lightbox. 4) Save the page and preview it, and you should see the lightbox pop up on your home page. Still having trouble with installing your campaign to 3dcart? Simply click the support or live chat icon to get in touch with us.